F.E. Sawyer Building Systems, Inc.
My name is F.E. Sawyer. 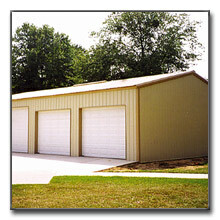 I’ve been involved in the Metal Building Industry for over 28 years. I care about the industry and the reputation of our business. On many occasions I have been approached to correct mistakes or finish a job done by dishonest, unscrupulous contractors. The following information could help protect you from being a victim of the unprofessional contractor that haunts this industry. Most people spend more time planning a vacation than they do a major building project for their home or business. If you are making plans to build a house, barn, carport, RV storage or any other project in the near future, consider consulting a professional builder that is an expert who can answer all of your building questions and make suggestions to save time and money. Please keep in mind the following information before you sign a contract with any building contractor. Avoid high-pressure sales people. High- pressure sales tactics can push you into a bad decision when buying or contracting a construction project. A qualified professional will never pressure a buyer into signing an agreement until all phases of the job are completely understood. Does the buyer carry Texas Workers Compensation? Make sure your builder carries Texas Workers Compensation. 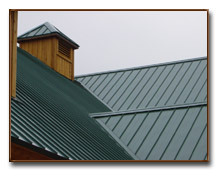 This protects you, the homeowner, if a worker is injured while on your property. Without it you can be held responsible for the worker’s medical bills and recovery time. In today’s world, lawsuits are abounding and it’s best to be protected. Is your builder a member of the Better Business Bureau? The BBB is a service to protect you, the consumer. Make sure your builder has a clear record before you sign on the dotted line. Remember, it’s a free service. Can your builder provide references? A good contractor should be happy to provide you with references. Most people will tell you if they have had problems with their builder or his workmanship. Ask questions, such as , Was the job finished on time? Was the job completed to your satisfaction? Did the builder honor his price? Was the builder easy to contact and work with? Get written proposals, Always! You want and need a detailed proposal of agreed work, the total costs and the plan for payment. Your banker will not accept anything less. Should a contractor look at your project, utter a price out of the air, and scribble an amount on the back of a business card, show him the door. Save yourself a lot of time and wasted money. What about down payments? If a contractor asks for a large amount of money up front, be careful. This could be a tip off that they are not in good financial shape and you could be in for a rocky experience. We encourage you to study the information presented. Hopefully it will help you in your planning stages and prevent a disaster later. We at F.E. 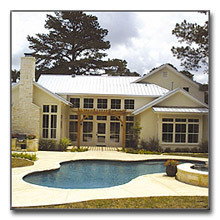 SAWYER BUILDING SYSTEMS can show you how we have helped many others add a beautiful building to their property for their enjoyment and to enhance the value. Please feel free to come by our office. We always have the coffee on. We will be fair and honest, and we’re here to stay.